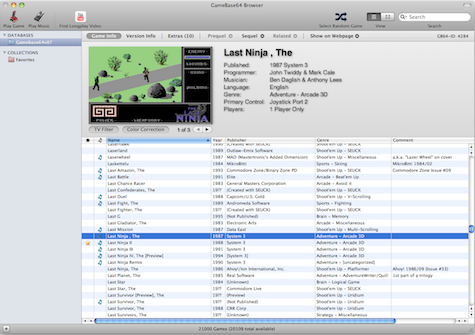 A Mac-native version of GameBase64 Browser has been released. GameBase64 is a database of over 20000 Commodore 64 games, with detailed information and screenshots for each game. Setting up is not exactly intuitive if you do not already have the database file -- you’ll need to drag a folder (any folder) to the application, then it will tell you that the folder contains no valid database file. It will then allow you to download the database file from within the application. You can get screenshots and sounds packs here. It offers the ability to launch games in your C64 emulator of choice, but I couldn’t seem to get that feature working. Despite this strange configuration problem, it’s very impressive, so be sure to check it out (provided you have Snow Leopard installed). A new version of the open-source IA-32 (x86) emulator Bochs was released on April 25. Release 2.4.5 implements X2APIC and Intel VMx2 extensions, fixes some CPU emulation bugs, reworks the configuration options, and more. Check the changelog for full details. Those of you desperate for Steam on the Mac will have to wait just a little longer, with Valve announcing that it will be released on May 12. No word yet on what games will be available at launch, although you can be sure a few of Valve’s titles will be there. Stella, a multi-platform Atari 2600 VCS emulator, was twice updated -- first to version 3.1, then to 3.1.1. The first of these updates includes a lengthy changelog, with many new features. Mac-specific highlights include separate Universal and Intel-only builds for optimisation, improved keyboard handling, a simplified application menu, and the moving of support/preference files to standard locations. Release 3.1.1 fixes a crash bug and updates the DPC+ bankswitch scheme (whatever that is). 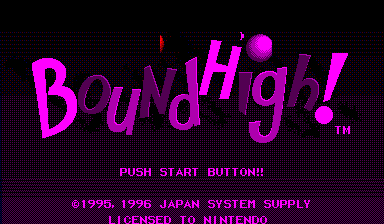 Richard Bannister’s Nintendo Virtual Boy emulator ViBE was updated back on April 11, with added support for Bound High, a cancelled game that recently made its way onto the Internet. Apple II emulator Virtual ][ has been updated to version 6.3.7. Changes are limited to a few fixes and an added convenience menu for inverting controls. NES/Famicom emulator MacFCEU is now at version 0.6.3, with the latest update fixing a number of issues, including sound overflow and problems with sprites when the background layer is hidden. It also provides minor interface improvements. Check the project website for more information. ScummVM 1.1.1 was recently released, providing numerous bugfixes. See the changelog here.